12 STEPS RECOVERY AND SUPPORT FOR FAMILY AND FRIENDS OF A.A. AND N.A. $5 S/H charge on all orders. I want the hand of A.A. and N.A. to always be there. This is our motto here at "12-Steps-Recovery.com". Together we can help those who come to us for support and be there for family members alike. Our goal is to not only listen, but to offer suggestions and ideas to cope on a daily basis with addictions by using the 12 steps and 12 traditions as taught by the A.A and N.A. programs. to our Friends Helping Friends Program. and they can provide you with local meeting locations and support in your area. NOW YOU CAN MEET SOME OF OUR FRIENDS ON LINE. Meetings On Line offers both text chat and live webcam chat. They have alot of meetings available so be sure to scroll down the page to see when the next meeting is taking place. This group has a great staff who monitors the room as well for your safety. There is no software to install just a simple click of the mouse will take you to the room. Once there, click on the red bar to load the chat page itself. We here at 12-steps-recovery.com wish to thank you for stoping by our site and we encourage you to make yourself at home not only here at our site, but in chat as well. Our goal here is a rather simple one in nature. And that is to be a friend to you, and your family when ever you should need help. Many people have come here hoping to find help and support. Our members are always willing to lend you the help you need. We may not be able to work a miracle, but we can always give you our suggestions to a problem using our own personal experiences. Together we can solve many situations just by sharing them with others in the program who've walked that road before us. We hope that you will allow us this opportunity now to help you and your family as you now begin your journey towards recovery . Our store carries a wide selection of items ready to be shipped out today! We have Cards, Mugs, Magnets, Stones, stickers, Shirts, Hats, Books, Pendants, Ear Rings, Rings, Bracelets, Lapel Pins, Chains just to name a few. The Library offers Books for all your recovery needs from AA to NA and some alanon books. We have them all. We also have Speaker Tapes and vidios. Need a Chip? We have Aluminum, Plastic, Gold, Silver, Bronze, biplate and triplate chips are available. Bulk orders are no problem through our store. We also carry a wide selection of specialty gift ideas for you and your love ones. So help yourself and have a look around you'll be glad you did. The CHAT ROOM, This website, and the Egroup are neither endorsed, nor approved by Alcoholics Anonymous World Services, Inc nor Narcotics Anonymous World Services. Members are all volunteers who have offered their personal time and or services to aid anyone who should need a friend to talk to about recovery, and has a desire to stop drinking or using drugs. Opinions and Ideas shared are solely those of the person saying them and in no way should be reflective of the WSO, local groups, the chat room or this website itself. It is further understood that this site is privately owned and maintained. The Recovery website is provided only as a service to those who seek it's information. If any material on this site is in violation of any copyrights, we would appreciate you informing us at once so that permission for use may be obtained from it's source. Existing graphics may not be reproduced used or copied with out express permission from it's owners at 12-steps-recovery.com, aa.org, or na.org. Questions should be directed to the webmaster. Many of the items in our Library Section have been aquired through other sites and have been brought here to aid you the viewer in finding information that you may need. When ever possible we have tried to leave original content in tact to allow our visitors the oppertunities to visit these sites and make contact with those they represent. We hope this will help you find what you may be looking for in a much smoother and easier time frame. 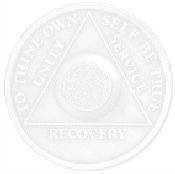 are registered trademarks of Alcoholics Anonymous World Services, Inc.
are registered trademarks of the AA Grapevine, Inc.
to register with the various search engines on line.